As part of the Russian government's drive towards modernization and increased use of technology, government ministries and agencies have put more effort into developing a presence online. In addition to official websites, many departments have established accounts in social networks and blogging communities. The purpose of this increased online outreach is not only to keep Russians informed about government actions, but also to receive feedback and comments from citizens. Opinion polls and electronic communications, which until recently were recipient-specific, are gradually becoming discussion forums where anyone can speak out. It has never been easier for people in Russia to observe government at work and to actively participate in discussions with officials through social networks and blogs. Since last fall, people have been able to participate in meetings of the Presidential Commission for Modernization and Technological Development of Russia’s Economy through the use of online tools. President Dmitry Medvedev, known for his embrace of technology, told commission members that he had seen Twitter feedback on the progress of the discussion during November’s meeting, which was broadcast on TV and streamed on the commission’s official website as well as tweeted. During his presidency, Medvedev has repeatedly shown an interest in opinions posted online. In Fall 2009, the president and members of his administration drafted a letter to the Federal Assembly based on feedback received following the posting of his article “Come on, Russia!” Last summer, an Internet discussion forum was set up to address the new law on the police. And since Fall 2010, all items on the agenda of the presidential commission are available for online discussion via the official website i-Russia.ru, where those interested in what is happening can post their comments via social networks such as Facebook, Twitter and VKontakte. The comments posted through the service are not ignored. They are analyzed and forwarded to the Commission for Modernization. In March, i-Russia.ru set up a new topic for use in social media, #iRuOnLine, which will direct questions and comments to the commission and working group members. There are plans to publish answers regularly as part of online conferences. In December and January, a forum was set up on i-Russia.ru to gather suggestions for the federal program on Russian youth, and over 7,000 comments were received. This data is now being used to improve the program. Online comments indicate that Russia’s Internet users appreciate i-Russia.ru. “This is a great initiative, you’re following global trends. Needless to say, it's simply useful. There are a lot of devoted men, and some of them were just lacking an appropriate tool,” said Alexander Nikiforov commenting online about the website. 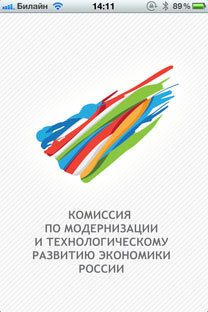 In addition to i-Russia.ru, the Commission for Modernization is the first government body to have its own mobile app. It is now available on the iPad, the iPhone, Android and other operating platforms. More than 10,000 users downloaded the app in the first month alone. “I’ve just downloaded iRussia.ru app for my iPhone. Looks good and seems interesting. I would recommend it for everybody,” wrote Stanislav Pigulski in one online forum. “It’s a brilliant way of lessening the gap between government, business and ordinary people,” added another user who goes by Alex. The amount of feedback received thus far by the commission shows that ordinary Russians are interested in the workings of government. Hopefully the i-Russia.ru initiative will encourage citizens to get more involved and engaged in the country’s development.